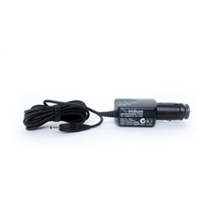 Standard 12V car charger for the Iridium 9575. May be used with 9575 and 9505A and 9555 Portable Phones. -Enables use of 9575 and 9505A and 9555 Portable Phones while recharging battery. -Battery Charge Time to 90% capacity is 3 hours when charged at 25°C (77°F). -For optimum performance only charge your battery between 0°C (32°F) and 40°C (104°F). -Fast charge will be complete in about 3 hours 15 minutes.